We Provide 100% Genuine Nifty Banknifty future option, Indian Currency , MCX Commodity and Intraday equity Trading tips on whatsapp with Live support and follow ups. Well researched and precise Professional Online trading calls with right entry price, one stoploss and single target / single exit. Check out our past performance here. Future calls– Nifty & Bank nifty index future Tips. Option calls– Nifty Bank nifty call/ put index option tips. 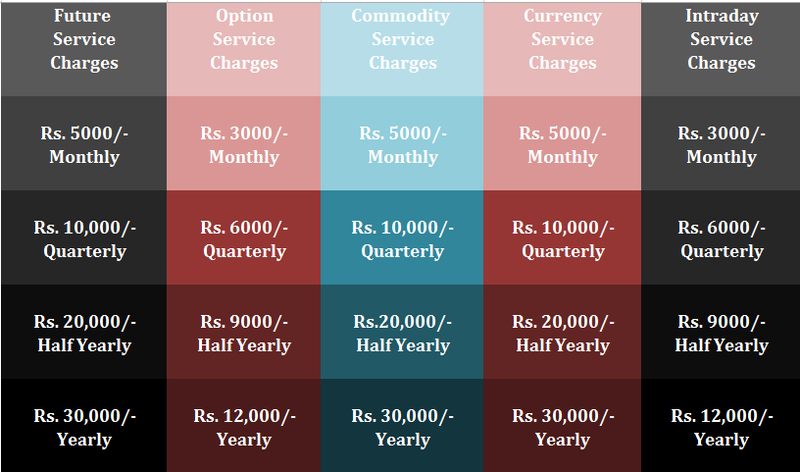 Commodity calls– MCX bullion, base metals , energy Commodity Tips. Currency calls– NSE currency tips. intraday calls –Intraday Cash tips. Google Play Store and Amazon App Store. Before subscribing to our service, traders and investors must read FAQ and DISCLAIMER.